Imagine a day when airplanes, cars, and even laptop computers are powered by fuels made from crops grown in the Pacific Northwest. Imagine a day when local sources of renewable energy enable our independence from foreign oil — while simultaneously improving our soil, air, and water quality so we can produce more food and fewer greenhouse gases. 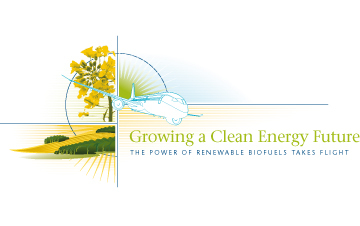 At WSU, aggressive efforts are under way to support increased production of renewable biofuels for ground, air, and marine transportation and to develop new fuel-cell technology for efficiently converting complex biofuels into energy. WSU researchers William Pan and Su Ha are combining proven methods and novel approaches in agriculture and engineering to dramatically boost yields of oilseeds and other biofuel crops, and to convert biofuels into clean electric power in a single step. Professor Pan works with Washington farmers to improve agricultural practices and to promote intense, sustainable growing of biomass and oilseeds, such as canola, camelina, and safflower. Professor Ha works with government and industry partners, including The Boeing Company, to improve technology for cleaner, safer transportation. Hear why Dr. Pan’s work is so critical and so timely, and learn about the “magic box” at the center of Dr. Ha’s fuel-conversion research. Then, please join us in Seattle April 28 to learn more about this innovative research and the big ideas at work at WSU. After studying at land-grant universities in Wisconsin, Missouri, and North Carolina, William Pan has endeavored to improve sustainability of agronomic cropping systems across Washington and the Pacific Northwest. A member of WSU faculty since 1984, he has been active in research, teaching, extension, and program administration. He became a Fellow of the American Society of Agronomy in 2007. Dr. Pan directs the Washington State Biofuels Cropping Systems Program and co-directs the Pacific Northwest STEEP (Solutions to Environmental and Economic Problems) program. He also serves on the boards of the Pacific Northwest Direct Seed Association and the Far West Agribusiness Association. Professor Pan is co-principal investigator on major grants totaling more than $22 million, funded by the Washington State Life Science Discovery Fund, the National Science Foundation, and the USDA National Institute of Food and Agriculture. He has published 45 journal articles and nine book chapters on soil-plant nutrient cycling and agronomic management. Su Ha’s research seeks to address energy challenges by improving the process efficiency of converting alternative fuels into clean electrical energy. His research interests include low- and high-temperature fuel cell catalysts, fuel cell diagnosis, nanobiocatalysts for biofuel cells, and hydrogen production. Dr. Ha is investigating technological approaches to convert transportation fuels directly into electrical energy and more efficiently than now possible through conventional internal combustion engines. He is also working to develop a portable fuel cell capable of producing electrical power from sugars using enzymatic electrodes. After earning his master’s and doctoral degrees in chemical engineering at the University of Illinois Urbana-Champaign, Dr. Ha joined the faculty at WSU as an assistant professor in 2005. He has published more than 25 papers about topics in alternative energy research. Professor Ha is principal/co-principal investigator on major grants totaling more than $1 million during the past three years, funded by the National Science Foundation, the Office of Naval Research, The Boeing Company, and the Washington Technology Center.